Hydrogen is a clean energy vector that could help to face the current environmental issues of greenhouse gas emissions and, over a longer time scale, to replace the depleting nonrenewable fuels. Biological production by fermentation of waste and residues has the potential to surrogate the current technologies of production of this gas. 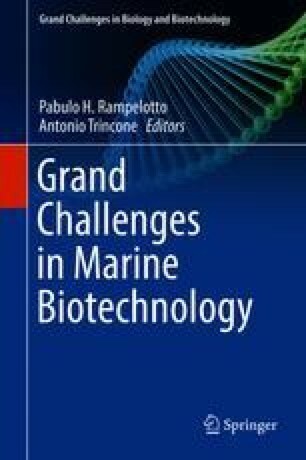 In this chapter we report a summary of the fermentative pathways related to hydrogen production in the thermophilic microorganisms of the genera Thermotoga and Pseudothermotoga that embrace several marine species with the highest hydrogen yields among eubacteria. The contribution includes a brief review of dark fermentation (DF) and capnophilic lactic fermentation (CLF), the two processes related to hydrogen synthesis in these organisms, together with a discussion of new data concerning the distribution of CLF in these bacteria. The data show a varied scenario with different metabolic capabilities spread across the two genera. Under standard conditions, CLF is active only in few species of Thermotoga genus. The study underlines the great potential of these microbes in the valorization of agro-food waste and production of fuel and chemicals. In particular, the metabolic and biochemical diversity of Thermotoga and Pseudothermotoga species, together with their resilience to different environmental conditions, suggests the possibility to overtake many of the bottlenecks related to operational factors such as substrates, temperature, pH, hydraulic retention time, and hydrogen partial pressure. This work is based upon research supported by the PON01_02740 project “Sfruttamento Integrato di Biomasse Algali in Filiera Energetica di Qualità” (SIBAFEQ), Programma Operativo Nazionale—Ricerca e Competitività 2007–2013 and the European Horizon-2020 project “Biological routes for CO2 conversion into chemical building blocks BioRECO2VER)” (Project ID: 760431). The authors are especially grateful to FERRERO SPA and SEPE SRL for the ideative contribution and technical support.